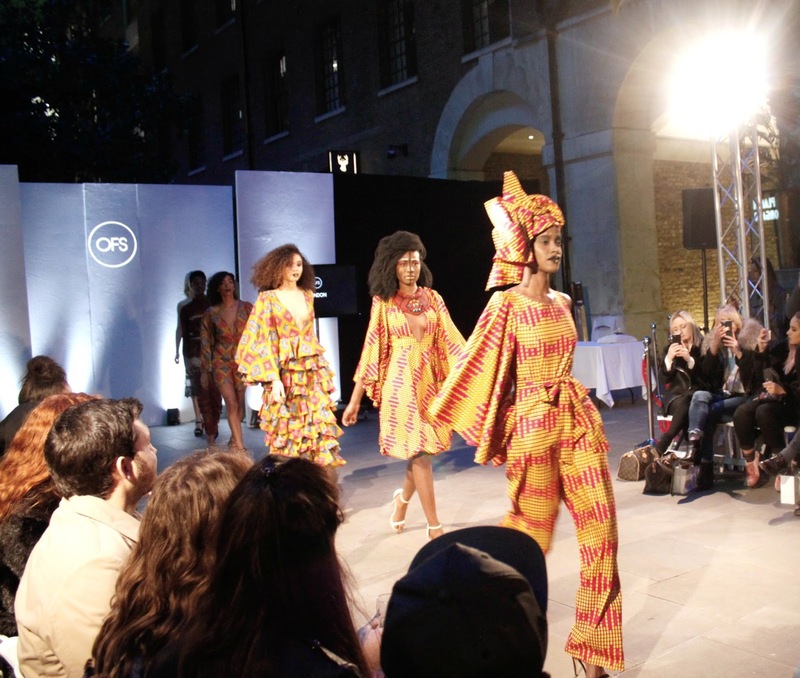 I had of course heard of London Fashion week before this year, however, it wasn't until I started blogging last year that I even considered it would be an event I'd attend! I have always been into fashion and style, but to me (and many other bloggers/mortals) the Fashion Weeks place a lot of emphasis on designer, high end brands which I honestly love to look at but cannot afford! 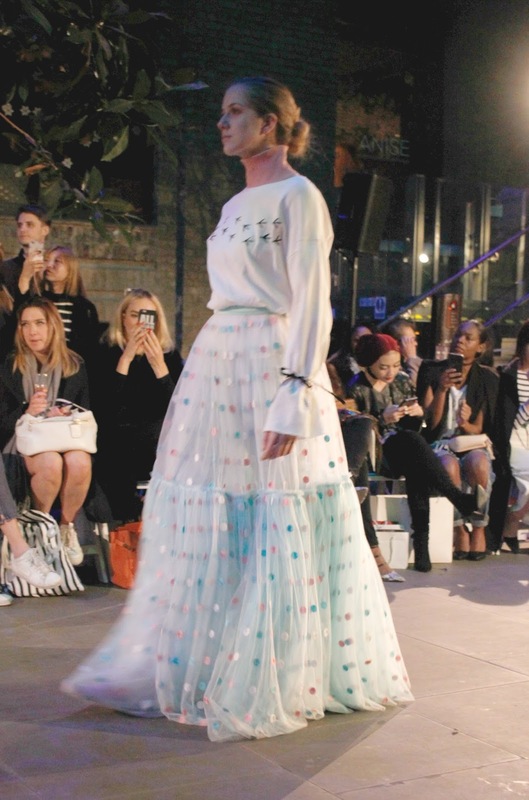 I found myself wondering if the #LFW experience was something I, a high-street-thrift-bargain queen could enjoy, despite many of the show pieces being worth more than my weekly pay cheque (true story)! 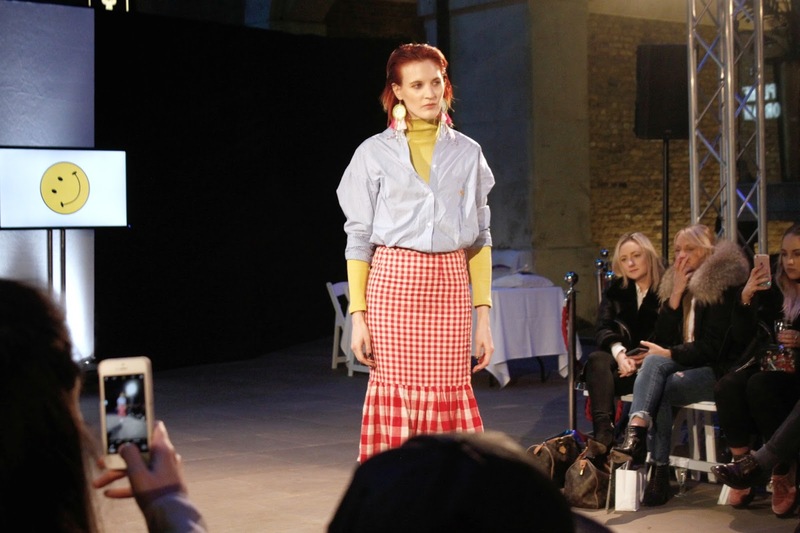 I was kindly invited (eep) by Goldsheep to a showcase of a few brands at the Oxford Fashion Studio, which is located in East London, a few miles away from the main show area by Somerset House. I decided I would focus on the shows simply as works of art and things to be admired and inspired by, rather than actual items I could afford (or dare) to rock! And thats certainly what i got. There were some really lovely, creative pieces on display. I went away feeling inspired and full of ideas. Here are a few of my top tips for surviving your first fashion show, be that at a Fashion Week around the world or a general fashion event! I asked the brand for a plus one and they kindly accommodated. I took my best friend Naomi, who is a fashionable art student, and it was her first fashion show too. Not only is it great to have a bit of support as a blogger at a big event, but its great to have someone to chat to and discuss the show as it happens. I get really bad headaches if I don't drink enough water! Its also important the night before a big event to help look glow-y and healthy! Fashion Week days tend to start early and finish late at some after party or other! For similar reasons as above, eating well will prevent you from feeling tired too soon and keep your energy levels in peak condition. Being out and about in a city like London is also a great excuse to try a new restaurant. Naomi and I tried out a place just 5 minutes away from the show- "Pizza Union". It was incredibly tasty, affordable and perfect right before all the free prosecco! Ooo this is such a top tip! I wasn't sure what to expect at the show so I wore a pretty smart/casual outfit with some sock boots. These boots weren't the most comfortable in terms of doing a lot of walking so I was so glad I brought a pair of flats to change into after the show. And to be honest, I could have worn the flats at the event- it was quite informal. 5. 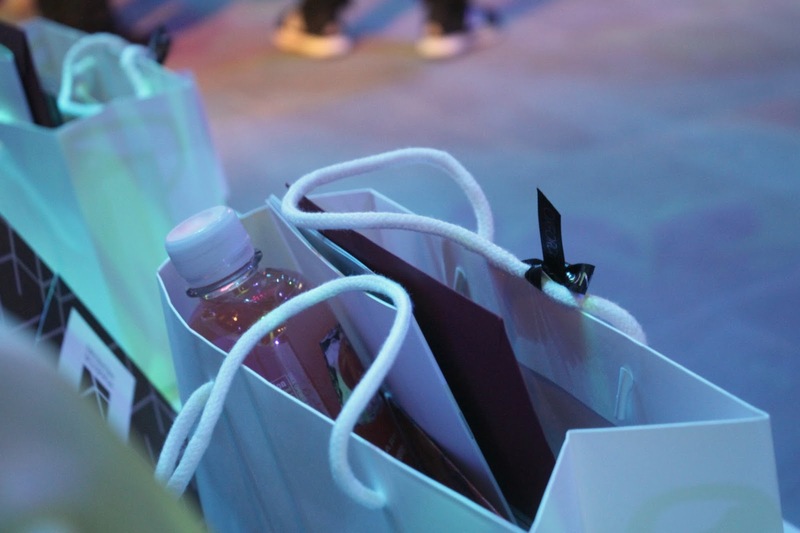 Stop by Smashbox for a makeup refresh and snacks! 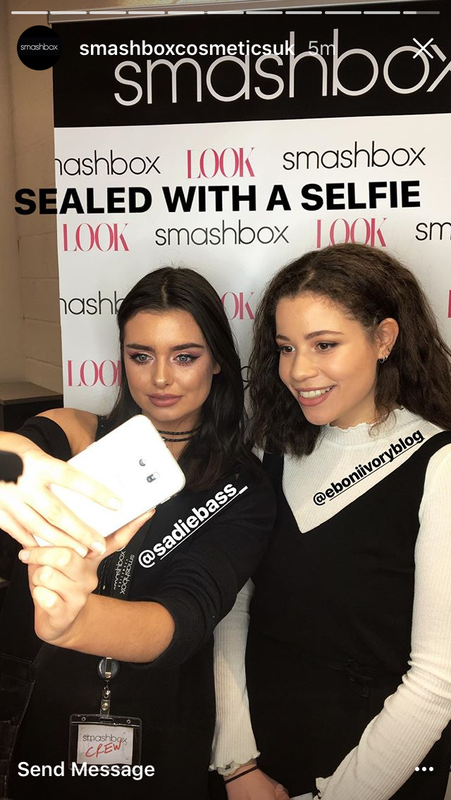 I was lucky this day because Smashbox and Look Magazine were holding an event just off Oxford Street with snacks, drinks and makeovers! I had my make up touched up by the lovely Sadie who added a litle more highlight and eyeshadow. It turned out great! I posted a selfie to twitter and recieved a goodie bag which even included a free Smashbox lipstick! Check if there are any popular beauty counters near your event- many of them have in store MUA's who can help. 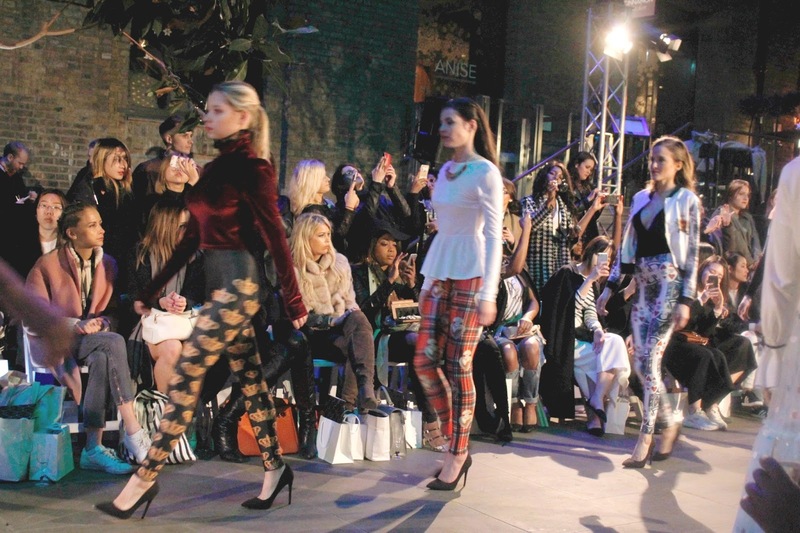 Have you been to Fashion Week before? What top tips do you have?